Hanoi (VNA) – The 17th International Agriculture Trade Fair 2017 (Agroviet 2017) is scheduled to take place in Ho Chi Minh City from September 21-24 with the participation of over 200 domestic and international businesses. The information was revealed at a press conference held by the Ministry of Agriculture and Rural Development in Hanoi on August 25. The event will feature 300 pavilions introducing special farm produce across region, safe food, and advanced scientific applications. 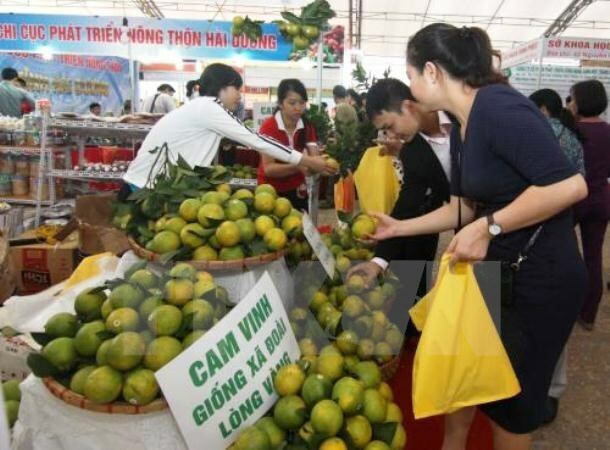 It aims to promote the brand names of Vietnamese key farm produce. Director of the Trade Promotion Centre for Agriculture Dao Van Ho said AgroViet 2017 will be held in HCM City as this is a potential market in the southern region and the Mekong Delta. Additionally, the city’s products such as rice, fruits and seafood have built their brand names and conquered multiple global markets, he said. The fair will create an opportunity for businesses to promote production, domestic sales and exports of safe commodities as well as seek foreign partners, he added.